My visit to Patanjali Yoga gram was much awaited. I had heard a lot about this place but never got a chance to visit it. I have seen many places in India that are promoting yoga and Ayurveda, and marketing it well too. But the authenticity in the practices is a question that I ponder about. The desire of finding the thousand year old legacy of yoga, holistic healing and Ayurveda took me to many places but my questions were still unanswered. Wherever I visited the spas providing healing therapies, I was relaxed but my mind was perturbed as no one was able to satiate my queries regarding the science behind this art of healing. The glittering advertisements in glossy magazines do entice you to try these modern spas offering cure through ancient healing practices yet how effective it would be in the long run is thought provoking. We all are aware that our ancestors knew and practiced the art of holistic healing – from body to soul. This is also evident in the ancient literature like Vedas. The ancient practices believed in curing the root cause of the problem. With time the ancient practices were somehow forlorn and overshadowed by the modern treatments that provide instant relief. Even then there were some people that were treating and curing people with the age old practices. People who are trained to use the art of holistic healing are silently curing thousands of people in the foot hills of Himalayas. Let us embark on an incredible journey of Holistic healing to Patanjali Yogpith. 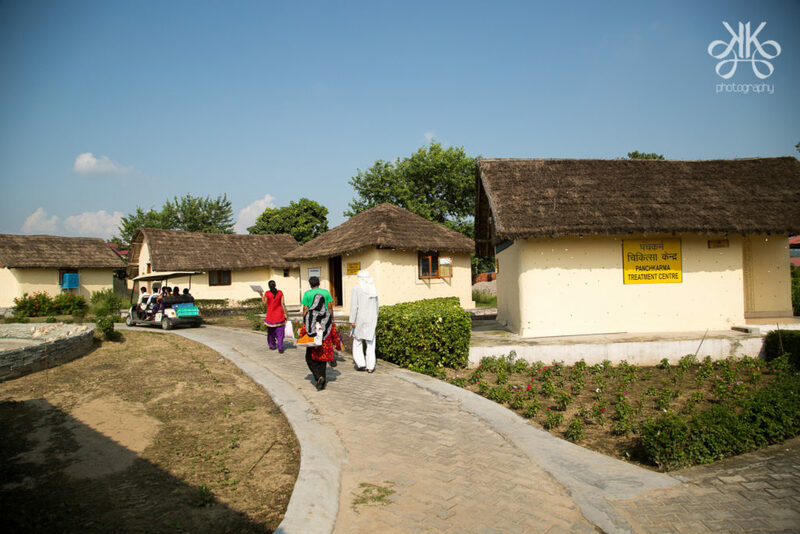 Patanjali yogpeeth is in a very large complex and has a Hospital, with inpatient and outpatient departments, research institute, a teaching college and a manufacturing unit producing Ayurvedic herbal medicines. 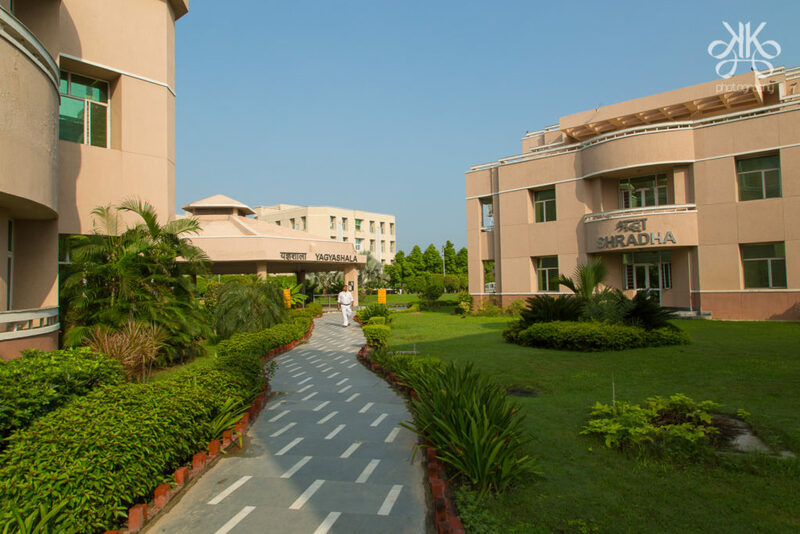 It has a dedicated campus for naturopathy named Yog Gram. Yog Gram is 23 kms away from the campus of Patanjali Yogpeeth-I. When I visited Patanjali Yogpeeth, I was lucky enough to meet Acharya Balkrishnan. 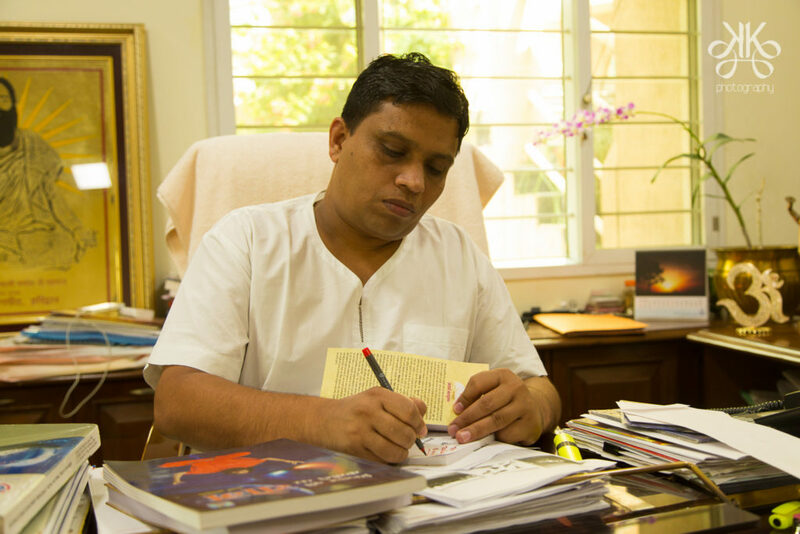 He answered all my queries and also shared amazing facts related to the practices of Ayurveda. Maharishi Charak, the ancient scholar who contributed to the ancient art and science of Ayurveda, defined that human life is the combination of mind, body, senses and soul and Ayurveda works on all these four aspects. 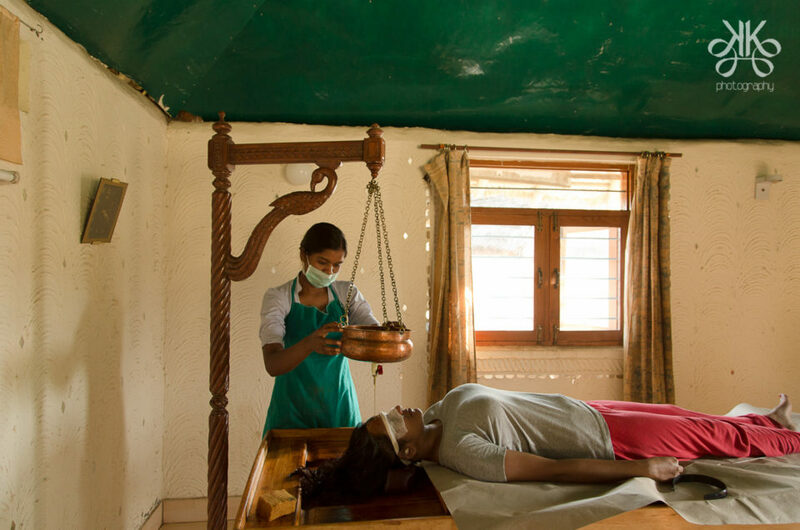 Ayurveda considered human beings as an internal part of nature and tried to maintain the wellness of the human body through a healthy balance between life and nature. As an intrinsic part of the nature, our wellness is also guaranteed when we to live in harmony with nature. Whenever the balance between self and nature is disturbed, humans tend to fall sick. Whenever we fall sick or diseases attack our body, we tend to find instant cure through allopathy and immediately rush to a doctor. This no doubt gives us an instant relief but does not cure the problem from its roots. Allopathic medicines indeed suppress the disease causing issue. Ayurveda focuses on prevention, rather than treatment. It tries to align our body with the course of nature and four seasons and provides holistic healing. Let me put across very clearly that it is not a holiday destination. It’s a place for holistic healing. For that you have to consult a doctor who recommends a suitable treatment. It usually requires a stay of a week or ten days at Yog Gram depending on the treatment recommended. Yog Gram literally means yoga village. 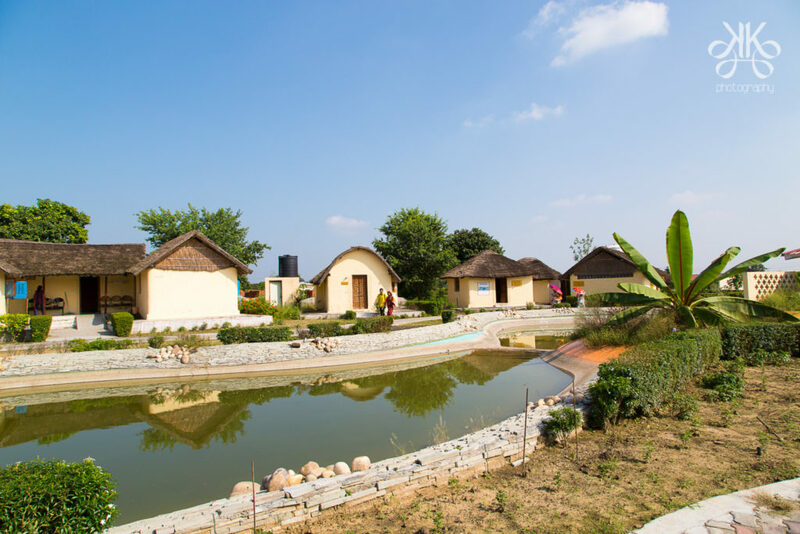 As the name suggests it indeed is a village but with modern amenities. You can get an overhauling of your body, mind and soul done here through naturopathy. The natural, austere and ascetic routine starts with positive thinking at 4.30 am, and concludes at 10.00 pm in a state of complete peace and relaxation. Your stay at Patanjali Yog Gram will change your lifestyle. You will learn an art of prevention of diseases and good health through the unique and judicious use of the five great elements constituting the human body. The system of five elements, the pancha mahabhuta, or “five great elements” are found in Vedas, especially Ayurveda. 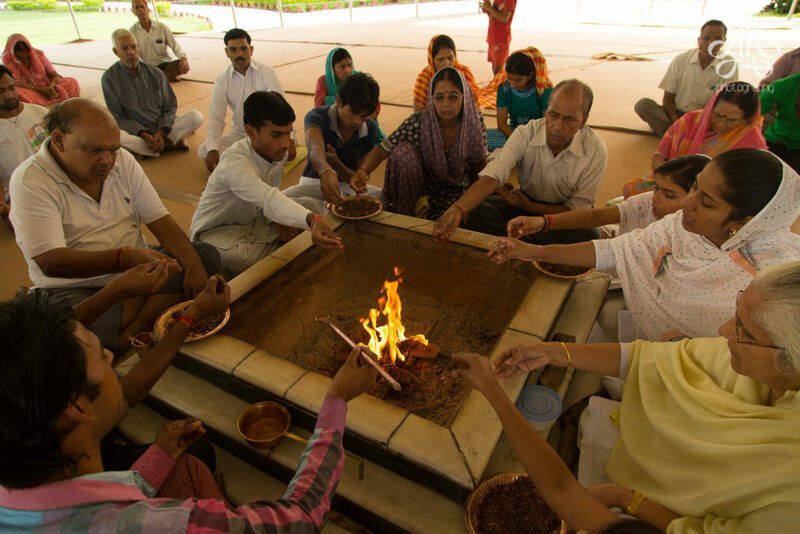 The five elements are bhūmi (earth), jal (water), tejas or agni (fire), marut or pavan (air or wind), vyom; or shunya(zero) or akash (aether or void). Hydrotherapy Therapy for instance consists of following treatments: Hip Bath, Spray Spinal Bath, Motorized Jet Spinal Bath, Steam Bath, Sauna Bath, Hi-tech Colon Hydrotherapy, Ozone Sauna and Steam Bath, Water-waves Massage Bath, Whirlpool Bath, Sprinkler Bath, Ozone Bubbles Bath, Circular Jet Hydro Massage Bath, Immersion Bath, Hot & Cold Alternative Jet Spray, Hydro Jet Spray Massage or Douche Bath, Foot-bath and Arm-bath, Sitting Bath, Full sheet Pack, various types or wraps, etc. This therapy is very effective to boost the immune system, rehabilitates injured muscles, de-stresses and helps in detoxification also. The section for Mud therapy also provides treatment for Cosmetic Mud Bath Pool, Mudspray Roller Massage, Mud Pack Compress, Wraps of different types of mud, Cosmetic Facial Mudplaster, Sand Walking Track, Sand Bath, Vapour Sand Bath, Massage with Multani Clay, Barefoot Walking in a Vast Lawn, and dozens of such experiments in therapy have been made here. Sun Bath and Colored Rays Therapy, Chromatic Hydro and Oil Therapy (by charging water and oil in colored bottles with solar rays), coloured Thermolium, Green House Thermolium, etc. As far as the diet is concerned, the meals that are provided are as per the prescription given by the doctor according to the treatment. My visit to Yoga Gram was incredible. It changed my views on alternative medications like naturopathy. Yog Gram offers Naturopathic Yoga Therapy for patients who want to reduce their stress and tension and thereby keep their body healthy. This place is away from the hustle bustle of the city and pollution. Visitors experience the serenity and calmness of the nature. The doctors are very efficient and the staff punctual and empathetic. I would recommend that one visit at Yog Gram in your lifetime is a must for a holistic experience. Thanks for sharing nice n valuable information.